A Killamarsh Co-op get together. Left to right Jessie & Charlie Armstrong, Jill Armstrong, Flo Tristam, —-, Ethel Robinson. 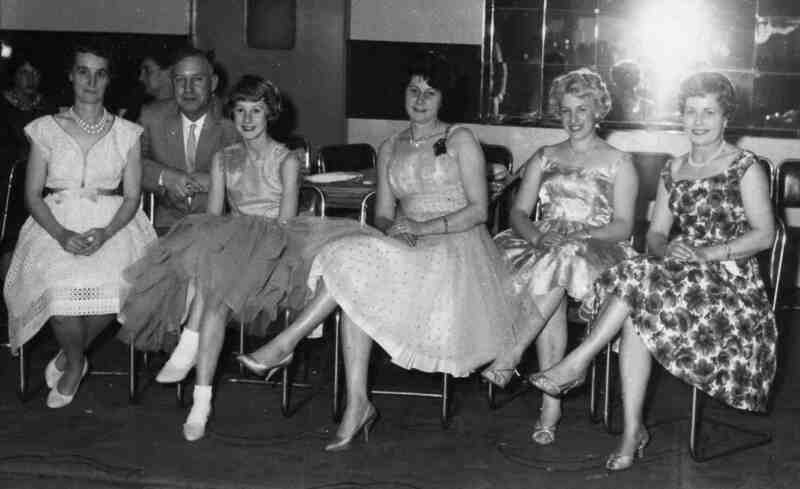 i remember ethel robinson as she worked at osborns at halfway the same time as me.i remember one new years my wife a and i were stuck for a dance.ethel and elsie parkin put one on at killamarsh leisure center.it was a great night.mick weston. The missing name is Mary Hadfield (nee Smedley) who in later years was my work colleague when we worked with Charlie Armstrong at the Co op in Bridge Street.